All of my life, since the day I was born, I have been overweight. It was a combination of really bad eating habits and an endomorph body type. I put on fat very easily, and having Burger King as my lunch every day after school wasn't helping it. At school I've never participated in gym classes, since I was embarrassed and ashamed of my performance and I HATED sports. My parents unfortunately backed this behavior up and all they cared was that I study hard and get good grades. I finished high school as an honor student, at 106kg. 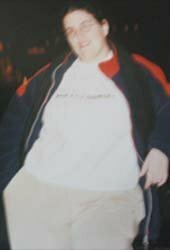 All Of My Life I Have Been Overweight. My self esteem was very low and I wasn't happy with the way I looked and felt. Before I was drafted to the army, I decided I was going to join it as a fit soldier. That decision lead to my first attempt at dieting. I had ZERO knowledge, therefore I started to read many books and articles about losing weight the right way. I followed them and went by-the-book. No shortcuts can be done. I realized that the rule of all rules was Calories In VS Calories out. After understanding that, I just started to count my calories, trying to keep a daily 500 calorie deficit. I then found out it was impossible for me to keep calorie intake under control while eating fast food AND staying full - so I dropped all fast/fried/processed food from my diet. Simultaneously I joined a gym and was very persistent with it. Gradually I started to develop my cardiovascular system and gained muscle mass. I was determined and nothing could stop me. On weekends I wasn't as strict as regular weekdays. Calorie deficit + low intensity cardio + weight training were enough to help me lose 60lbs of fat, at a time period of 6 months, slowly but surely at around 0.5kg per week loss. No Shortcuts Can Be Done. Then I reached a plateau. 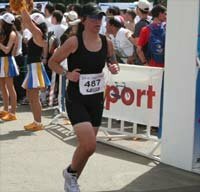 I was ready to get to the next level, and used Bodybuilding.com forum members advices and experience to tweak my diet and workouts. The most major change was watching my diet very closely using a digital kitchen scale and a tracking application (Fit day - very recommended...). At that point calorie deficit just wasn't enough! As my main guideline I used Tom Venuto's book, "Burn the fat, Feed the muscle" - It was a GREAT inspiration for me and made me change my whole eating habits. With that, I dropped 30 more lbs, totaling 90lbs loss. 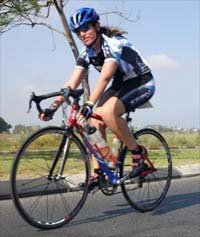 road cycling for about 3-4 hours. 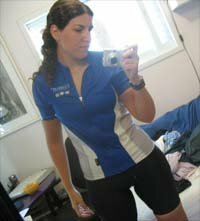 I've been dieting for 3 years now, and have passed through so many emotional and physical ups and downs. This process is hard enough by itself, but going through this change as a teenager, learning and implementing everything by myself made it even harder. None of my friends or family have a lifestyle similar to mine, things such as waking up early for cardio, avoiding alcohol and rarely eating outside may look odd to other people. Have A Lifestyle Similiar To Mine. 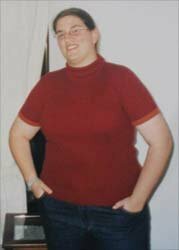 My parents are also overweight, but I wasn't sharing any of my weight loss experience with them - the only thing that kept me motivated when I needed help is Bodybuilding.com forum members. I've been reading every thread in the weight loss and nutrition forums, it is truly unbelievable how supportive and encouraging they are. Knowledge wise, there are many experienced people that gave me great advice. Compliments I received made me so proud of my achievement! Some of the greatest advice I got was to always remember we're just human, and we're not perfect. I have never been hard with myself when I fell off the wagon. The important thing is to analyze and learn from our mistakes, they always happen for a reason. In my opinion, baby steps are the way to go, a lot of small changes will eventually make a drastic change; we can't change years of bad habits in one day. Of Bad Habits In One Day. Knowledge is the key to everything. Read, learn and understand as much as you can about our body, there are many interesting articles in Bodybuilding.com, and since health and diet is such a popular subject these days, information sources are endless. Having the knowledge allows you to make good decisions and gives you the ability to differentiate what is good for YOU, and that will lead to the right actions almost automatically. I've always looked at other people success stories, taking something with me from every story, but it is important to realize EVERYONE IS DIFFERENT! You must find out what works for YOU. Believe in yourself and you will succeed, there is nothing "special" about the people who had transformed their bodies, except from setting a goal, planning their way there, and not giving up!